As born-and-bred Earthlings, we’re accustomed to living on a planet that’s evolutionarily adapted to nurture carbon-based life forms. As a species, we like our environment to be hospitable and habitable. You won’t find a major human presence at the Earth’s north and south poles, for the same reason you won’t find an office building atop Mount Everest: it’s a challenge to get there, it’s dangerous to live there, and productivity comes to a standstill if the company printer runs out of ink. It may be a rough analogy, but it’s important to remember that several private space ventures are proposing bold plans to live and work in space—and on Mars—full-time. And while this prospect is undeniably tantalizing, it’s important to recognize that the Martian environment will present day-to-day obstacles that will challenge our very ability to sustain life. Put simply: Mars is an alien planet. Spending any amount of time there will require an extensive network of life-support systems, all engineered for the sole purpose of keeping your fragile human body in its original, functional state. Living and working productively on Mars will present a unique set of challenges—perils, even—for anyone with their sights set on the red planet. Luckily, the commercial space industry is developing solutions to address the dangers of life on Mars, which will enable ambitious crewed missions (and even permanent settlements) in the years ahead. Nearly everything about the Martian environment should discourage human settlement—but private space companies are up to the challenge. Let’s start with the red planet itself. Mars is different from Earth in many distinct ways, but for right now we’ll focus on one aspect in particular: Mars is much smaller and less massive than our shared home. This size and weight disparity actually has an enormous impact on the overall habitability of the Martian surface. First and foremost, Mars’ lower mass has resulted in a very thin atmosphere. This is because the red planet is not hefty enough to exert a strong gravitational pull on the various gas particles which used to surround the planetary body. Over billions of years, the Martian atmosphere has been stripped away to its current state—a blanket of poisonous carbon dioxide and nitrogen, one hundred times thinner than that found around Earth. In turn, Mars’ insubstantial atmosphere does little to retain heat, resulting in an average surface temperature far colder than that to which humans are accustomed. So far, we’ve got a small, cold planet, with a weak gravity and low atmospheric pressure. Oh, and that atmosphere is poisonous to humans. But we haven’t yet hit upon another major, uniquely-Martian danger: the dust. Anyone with a passing notion of “Mars” is likely to list swirling red dust storms among the planet’s defining characteristics. This dust is omnipresent and electrostatic—meaning that it is attracted, like packing peanuts, to the metallic components of on-surface machinery. When a dust storm kicks up, on-surface visibility is drastically reduced—but thanks to Mars’ low atmospheric pressure, even high-speed winds would only feel like a gentle breeze. Although Mars dust is typically ultra-fine, these tiny particles can nonetheless wreak havoc on mechanical systems and work their way into the seams of spacesuits, habitats, and other structures. Beyond dust, another danger to human settlers is radiation. Now, in fairness to our new host planet, space radiation is certainly not exclusive to Mars. In fact, the crews will be exposed to the highest levels of radiation while en-route to Mars, rather than on the planet itself. The fact remains that there exist two broad categories of dangerous radiation to which Mars-bound missions will be exposed: Solar energetic particles are ejected during solar flares, whereas galactic cosmic rays (GCRs) are a type of radiation that come from cosmic events outside our solar system. 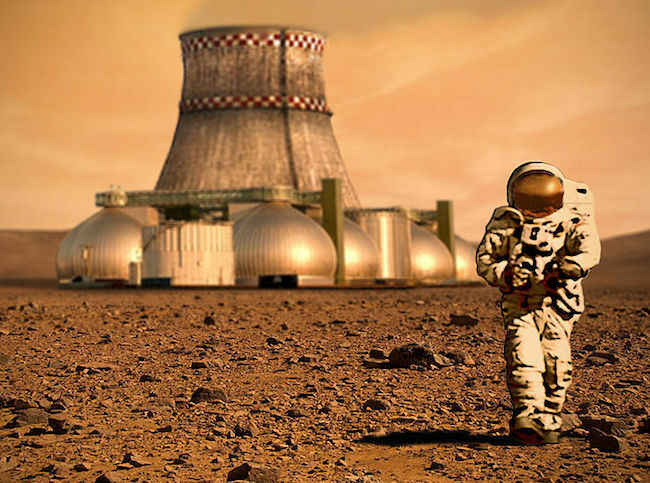 Given the extended length of time that will be spent in deep space, humans traveling to Mars could be exposed to dangerously high levels of radiation—effectively doubling their risk for cancer and serious cellular damage. In order to mitigate this risk, spacecraft en-route to Mars will likely be outfitted with 3D-printed radiation shields, like those NASA is currently testing inside BEAM on the ISS. Despite the dangers, commercial space companies are developing ways to make human settlement on Mars as safe a process as possible. For the purposes of this article, let’s assume that our plucky crew has had an uneventful voyage from Earth, and has made it safely to the Martian surface. Given the very new, very inhospitable environment, the immediate concern upon landing is the safety of crew and cargo. So what are the freshly-arrived human settlers to do next? How do you even begin to set up a colony on an alien planet when you can’t even breath the air? “In order to make it appealing...it cannot feel cramped or boring. Therefore, the crew compartment or the occupant compartment is set up so that you can do zero-gravity games—you can float around. There will be movies, lecture halls, cabins, and a restaurant. It will be really fun to go. You are going to have a great time!” (55-56). If this appeals to you, great news: the fun doesn’t have to stop once you arrive. 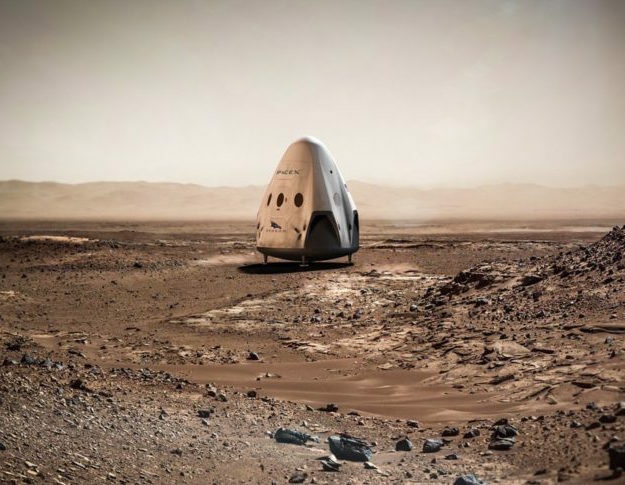 The idea is that, upon landing on Mars, the spaceship itself will serve as a self-contained and comfortable habitat for the crew-turned-settlers—negating the need to immediately deploy additional structures. 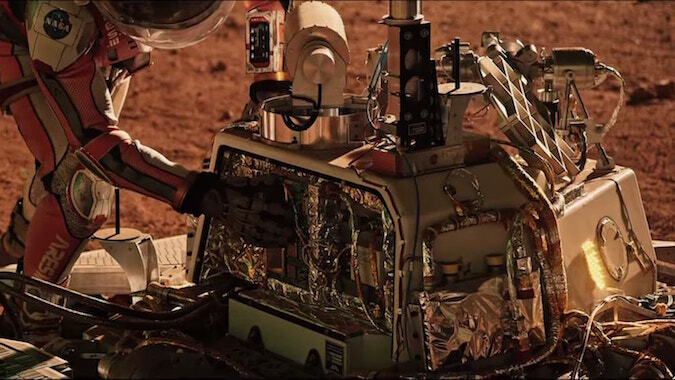 The spacecraft’s onboard life-support systems and deep-space-rated radiation shields will provide a high level of protection against the Martian environment. Beyond comfortable living quarters, Mars settlers will also need adequate space suiting when they venture beyond the self-contained habitat. These specialized extravehicular activity (EVA) suits, aka planetary suits, must provide wearers with life support, communications, temperature control, radiation shielding, and dust protection while navigating the Martian terrain. ILC Dover, which manufactured NASA’s current (dwindling) supply of EVA suits, is developing a new family of advanced planetary suits for the agency. The company’s new suits, the Z-1 and Z-2, are high-tech creations to be sure—and award-winning, in the case of the Z-1—but some are concerned that their size and weight may make the suits impractical for Martian surface exploration. 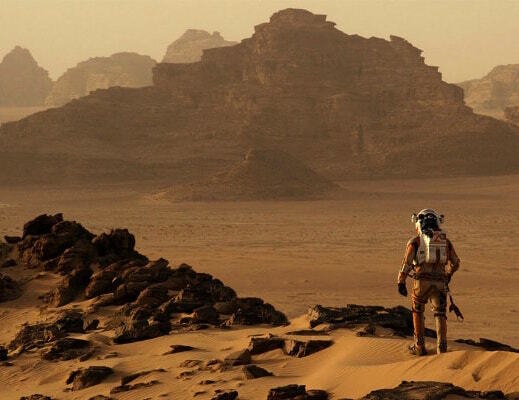 Private ventures are working (both in partnership with NASA and independently) to create their own take on the EVA space suit; one that will allow safe on-surface exploration of Mars.While specifics vary wildly between companies, a few key design trends stick out. First and foremost is a movement towards mechanical counter pressure (MCP)—the use of high-tech compression garments, rather than pillowy, gas-pressurized suits. Brooklyn-based clothier Final Frontier Design is working on a new planetary suit that includes mechanical counter pressure gloves—these will afford wearers an unprecedented degree of fine motor control, while still providing protection from Mars’ dangerously-low atmospheric pressure. This shift away from gas-filled garments is especially important on Mars, where an ill-advised outing during a dust storm could lead to a punctured suit—and shortly thereafter, an abrupt and unpleasant loss of pressure for the wearer. From a comfort-level standpoint, MCP suits would also be far lighter and easier for Martian settlers to wear for extended periods of time. Other crucial aspects of Mars-rated planetary spacesuits will likely include 3D-printed components, intuitive user interfaces, and increased ship-to-suit functionality (Anderson 19-20). Sustaining life on Mars is likely to be a daily endeavor that defines the “Martian” experience. Once you’ve set up camp (so to speak) on Mars, congratulations! You have a habitat, and an outfit to wear on trips outside. But this is the very beginning of the challenges that Martian settlers will need to overcome. The dust, radiation, and extreme temperatures are not going to get any less pervasive, so maintaining the integrity of structures and space suits will be of paramount importance. Similarly, the thin atmosphere and low gravity will remain thin––and also low. Therefore, a major theme of life on Mars will simply be maintaining life on Mars. Let’s assume for the moment that you’ve made it to the red planet, and your life support systems are working fine. But wait a minute, you’re starting to get hungry. Which brings us to the next danger of life on Mars: keeping the human body’s complex biological systems in working order. Martian settlers will obviously need easy access to food and water. This self-sustainability will become something of a necessity on Mars, where resupply runs from Earth are impractical and expensive (again, not unlike an office building atop Everest). For while "space food” is nothing new, humans living on Mars cannot feasibly stockpile enough food and water to thrive for extended periods of time. That would be akin to filling your building at 1 Everest Plaza with more toner cartridges than breathing room. Thankfully, steps are being taken in order provide Martian pioneers a measure of self-sufficiency within the alien landscape. The solution will be to find a way for Martian settlers to grow their own food, and source their own water, without assistance from off-planet players. To that end, NASA and the Florida Institute of Technology’s Buzz Aldrin Space Institute have partnered to explore the idea of Martian agriculture. By using simulated “Martian gardens,” researchers are learning how we may best be able to grow food on Mars. NASA is also working with commercial space companies in order to develop cutting-edge technologies and techniques for off-planet horticulture. In January of 2016, NASA’s Ames Space Center entered into a Space Act Agreement with Florida startup Zero Gravity Solutions, Inc (ZGSI). ZGSI has created a proprietary product—aimed at bolstering plant growth and nutritional uptake—which NASA has identified as potentially useful for deep space missions. Another crucial aspect of self-sustainability is emergency preparedness. Martian settlers must have access to supplies or tools in event of catastrophe—but how can you prepare for the unpredictable, especially when you’ve got limited storage? Once again, the answer may lie with commercial space. After all, Made in Space’s Additive Manufacturing Facility (AMF) is already proving value to the crew aboard the ISS. By using 3D printers to create tools, systems components, and other necessary items, Mars pioneers will be able to provide for themselves in event of unforeseen mechanical breakdowns. These 3D printers may also be used to create Martian habitat components, meaning that settlers would have the ability to build additional structures if/when expansion becomes necessary. Maintaining a reliable line of connection between Earth’s ground systems and Martian settlers will be of critical importance. Clearly, all of this Martian momentum is creating an air of eager anticipation. But there is a practical barrier to sending crewed spacecraft to Mars; one which—if not sufficiently addressed—will create major trouble for Martian settlers: the problem of long-distance communication. A human presence on Mars will require reliable, timely, and broadly-accessible communications between the red planet and Earth. This communications relay will be crucial, not only for systems monitoring and scientific data transfers, but for a more uniquely human reason as well: Maintaining a connection with Earth will be vital to the mental health of anyone living or working tens of millions of miles away. Getting data from Mars back to Earth is no mean feat. NASA’s current data relay, the Deep Space Network (DSN), is already under strain due to multiple surface rovers and spacecraft active around Mars. In the years ahead, the DSN will simply be unable to handle the increased volume of transmissions that will need to be relayed. While there have been recent lamentations that life on Mars will be delayed indefinitely until we determine how to fix the dearth of sufficient deep space communications relays, others have pointed out that there are already commercial solutions under development that will handily address the issue. Take, for example, Space Angels-funded Astrobotic and ATLAS Space Operations Inc. The two private ventures have recently announced that they are partnering to enable high-speed communications between Astrobotic’s lunar payload missions and ATLAS’ network of ground stations. By installing one of ATLAS’ unique laser communications terminals aboard Astrobotic’s Peregrine lunar lander, the lander will be able to function as a power and communications hub for customer payloads—a moonbase of operations, if you will. While Astrobotic’s business model is geared towards lunar services, the Earth-Moon architecture that the company is developing could eventually be extended to Mars. And given ATLAS’ extensive terrestrial coverage, the privately-owned space operations company may find itself playing an integral role in future Earth-Mars communications. As a new generation of visionaries plots the course to Mars, commercial space companies are leading the way to the Red Planet. As our path towards life on Mars becomes more clear, we must not let the specific challenges in our way become stumbling blocks. This is not a dismissal of the very real hurdles that still need to be overcome, or the bleeding-edge technology that will be required to get us there. Rather, it is a call to action for any and all who dream of traveling to deep space to play close attention to commercial space ventures in the months and years ahead. The fact is that entrepreneurial space companies, bolstered by agencies like NASA, are developing the solutions that will enable our future on Mars. In the future, and likely sooner than you think, crewed missions from Earth to Mars will be a reality—and permanent settlements will be right around the corner. Anderson, Chad. “Under Pressure: The past, present, and future market for spacesuits.” Space Angels Network. July 2016. Web. Musk, Elon. "Making Humans a Multi-Planetary Species." New Space 5.2 (2017): 46-61. Web. 24 June 2017.